Hey! Hope you all had a good weekend! 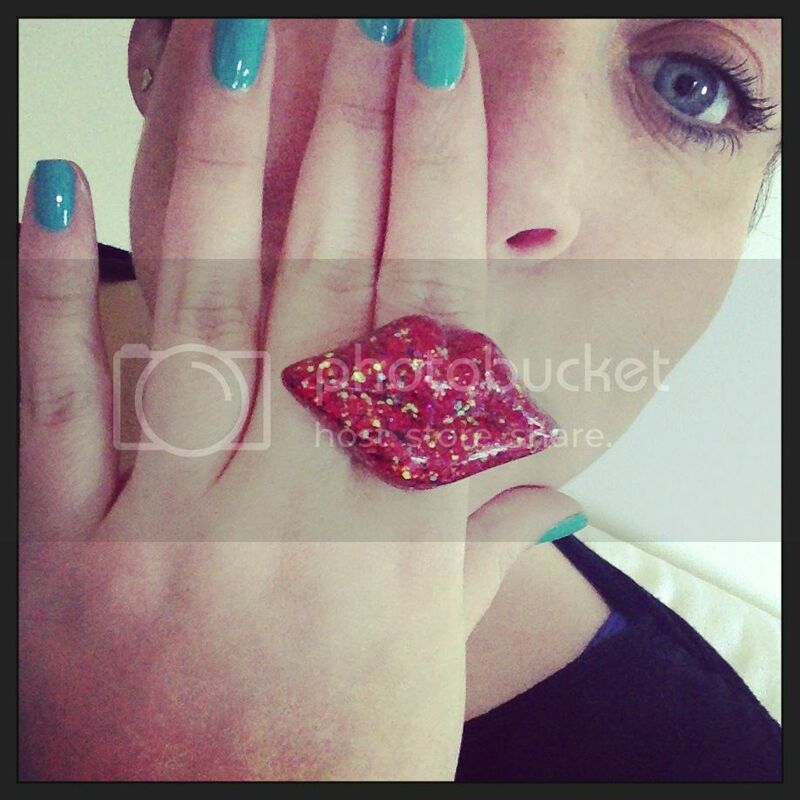 The piece I was sent is this gorgeous glitter red lips ring. Not for the wallflower amongst us, it's bold, it's big and it's HOT! 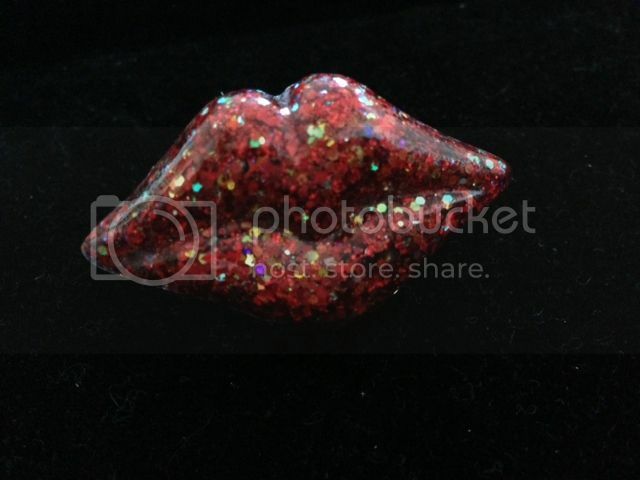 The range is made up of these fab resin set pieces in varying shapes, stars, lips, domes and each one filled with sparkles, sprinkles and all manner of fabness. If you head to the website you can see a selection of what Alyssa has to offer, you'll also see that she can make any combination you'd like too, so not only is every piece unique because it's handmade, but you can choose a style and colour that's suits you! The rings are set onto adjustable settings so should be suitable for most sizes. I love the Pop Art feel of these pieces and am already eyeing up the green glitter version of mine...! Also Alyssa will be bringing Twisted Siren to Plus North this year so you can see her designs up close and personal too! 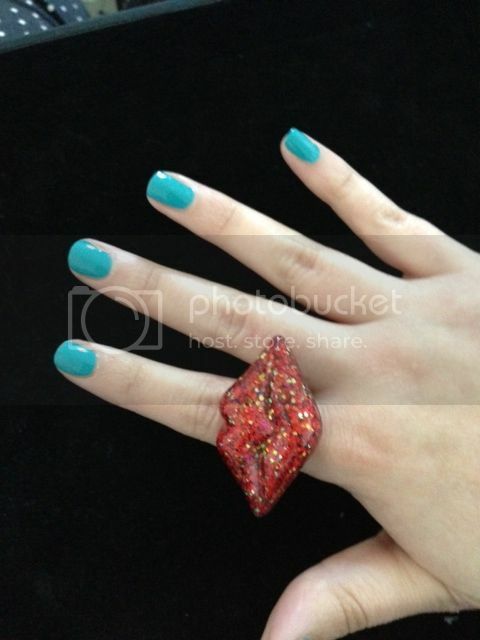 Very fun Ring!!! I love it! Love love love that nail colour! I'd be super duper pleased!